This sacred resin comes from a small tree originating from the boundary of Red Sea, namely Somalia and Arabia. To collect the resin, the bark is slashed to let out numerous drops of resin, which harden as generous yellow and smelly nuggets. Offered to baby Jesus by the Three Kings, this resin represents a tribute to divineness. 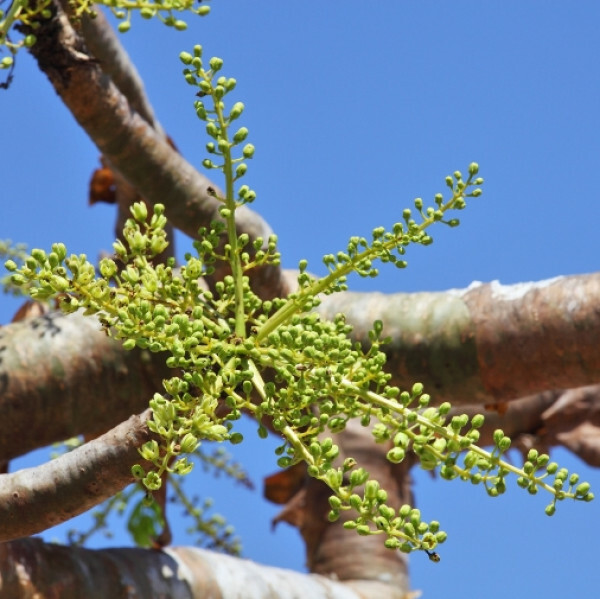 Renowned for its capacity to help inducing a meditative state, it has long been used in religious ceremonies in Orient, North Africa and around the Mediterranean Sea. Aroma and taste : Extraordinary. The scent is sweeter than the oil but unmistakably frankincense. Slightly resinous, like the conifers can be, the odor is also a little warmer than the steam-distilled oil, reminding more of the CO2 extract. The taste is quite bitter when undiluted but not unappealing. Diluted, it is divine and loses all the bitterness, becoming soft, warm, and very dry. Stability and Shelf Life : Unknown. Estimated at eighteen months Properties and applications. Experimental. The first effect is of energetic expansion. Taking a drop or two undiluted gives the distinct sensation that the “energy body” is expanding outward, rapidly, from the solar plexus. Try it before meditation, in ritual work, with crystals, or any form of energy healing. The oil is known to deepen and expand breathing and open airways, and the hydrosol seems to retain that property and can dry up excess mucus in the lungs and help expel phlegm. In “aromapuncture” treatments, one drop of the frankincense on the lung points elicited a deep breathing that manifested an altered state almost on contact. Quite astounding and worth further exploration. 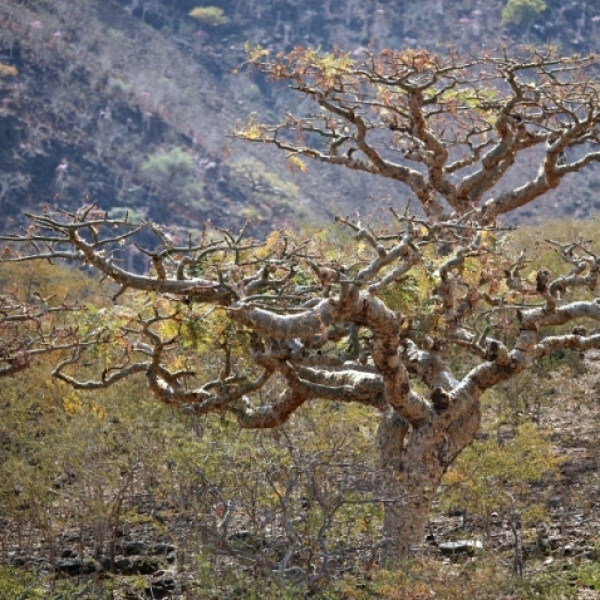 Internally, frankincense is diuretic and very drying, and it should be explored for use in conditions where pus or discharge is present. It may be particularly beneficial in mouth or gum infections as a gargle, perhaps combined with immortelle, as well as for infections of the reproductive and urinary systems, in combination with sandalwood or Cistus. Topically, frankincense is fantastic on the skin. Mist over the face and leave it to air dry and your skin will have a noticeably finer texture almost immediately. Of great value where summer heat is combined with high humidity. 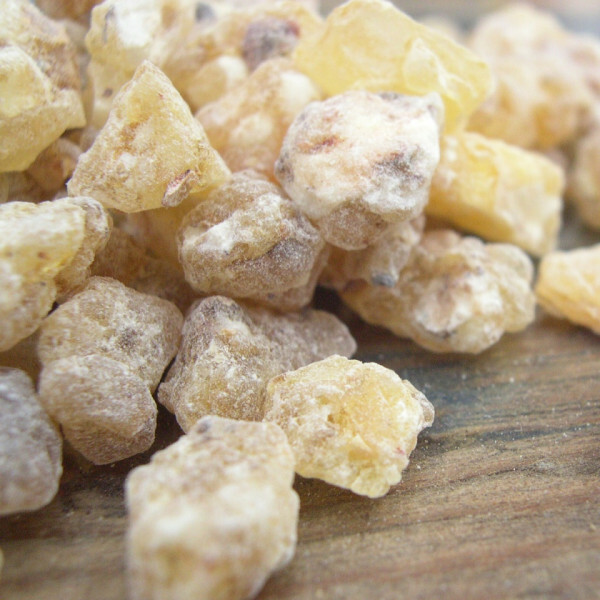 Frankincense can be used in face masks for an instant lift or combined with rock rose and others for daily wrinkle treatments.